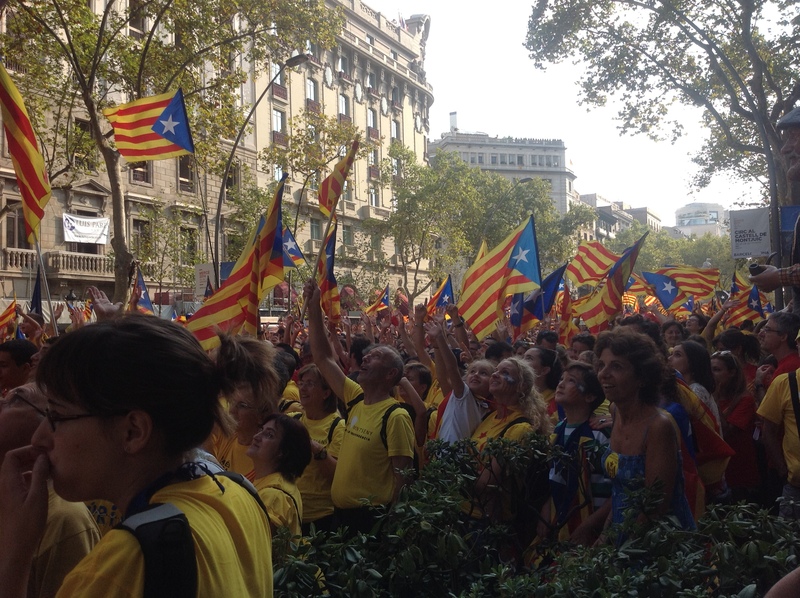 For three years in a row, Catalans have taken to the streets on September 11, Catalonia’s national day (the Diada). The 2012 rally for independence gathered an estimated 1.5 million people in Barcelona. The 2013 human chain linked 1.6 million people in a 400-kilometre stretch that revisited the 1989 Baltic Way. This year, an even larger crowd is expected to form a massive 11-kilometre V-shape along two of Barcelona’s main avenues. Today carries a weighty political symbolism: it commemorates 300 years since the defeat of the Catalan troops that had supported the Habsburg candidate in the Spanish War of Succession. The fall of Barcelona in 1714 marks the beginning of a harsh repression and the abolition of all Catalan political institutions by the Bourbons regime. 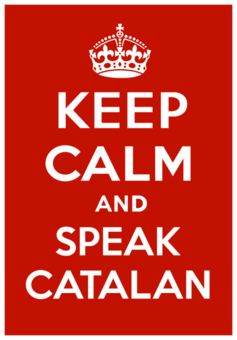 According to legal historians, Catalans were not punished as rebels, but rather as enemies subject to the international right of conquest (ius belli). The territory was then annexed to the laws of Castilia. Yet, in today’s rally, V will stand for both “vote” and, ultimately, “victory” in a referendum on pursuing independence, which was agreed by a majority of the Catalan parties and scheduled for November 9. The organisers are the Catalan National Assembly and Òmnium Cultural, two of the civil society organisations that have taken the lead of a movement that combines the communitarian tradition of human towers, sardanas, chorus, or civic associations with a cosmopolitan outlook that spreads its campaigns, slogans and memes across global social networks. Polls have consistently shown majority support for the referendum. The Catalan Parliament is about to pass the consultation law to provide legal coverage. But the answer from Madrid will remain no. The Spanish government has been fiercely opposed to any type of consultation. Prime Minister Mariano Rajoy has reassured his ranks by declaring that all necessary measures to block Catalan secession have been taken. Presumably, such measures include recourse to the Constitutional Court, which has already deemed unconstitutional many sections of the Catalan Statute in its famous 2010 ruling. And they could go so far as declaring suspension of the region’s autonomy and prohibiting the Catalan President from holding office, should he decide to go ahead with the consultation on secession. Given the present deadlock, the stakes are higher than ever; summer has not brought the usual silence of the crickets. In late July, former Catalan president Jordi Pujol, standard bearer of Catalan nationalism for decades, released a letter to the press confessing that he had hidden overseas millions of euros from an inheritance. Other family members, notably two of his sons, were already being investigated on alleged charges of corruption and money laundering. The revelations came as a shock for the ruling coalition, Convergence and Union (CiU), and as a timely weapon to brandish against the independence movement. Whether the scandal will undermine its expectations of the referendum is not yet clear. In such a complex scenario, any diplomatic faux pas in the international arena deepens the stalemate. For months, Catalan citizens and representatives abroad have been complaining about Spanish diplomatic pressures and vetoes on political and cultural events. 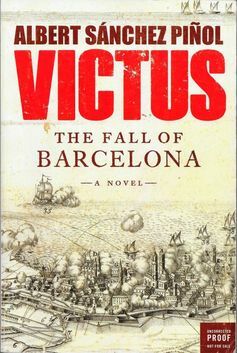 The latest episode involves the best-selling Victus, an acclaimed novel set in Barcelona, 1714. The presentation of the book in the Netherlands hit the Dutch press headlines when the Spanish embassy forced the Instituto Cervantes in Utrecht to cancel the event. Writer Albert Sánchez Piñol and his Dutch editor smelled censorship. The Spanish embassy claimed to have “postponed” the event due to the “sensitive” political circumstances. In Madrid, El Pais newspaper described the incident as a “supreme blunder”. Ironically, PM Mariano Rajoy declared in an interview last year that he had enjoyed reading the book during his summer holiday in Galicia. A week after the September 11 Diada, the Scots will open their polling stations to vote in their referendum on independence. In Catalonia, all eyes will be on them. A victory for the “yes” movement will be seen by President Mas as helping to pave the way for negotiations with both Madrid and Brussels. And if adherence to the Union prevails, La Moncloa will take a breather as deep as the one expected in Downing Street. Yet no result will be conclusive anywhere. Both the “no” and the “yes” votes open a number of scenarios for Scotland that will require negotiation at different levels. Neither outcome will resolve the deadlock in Catalonia. The massive V in the streets of Barcelona will have dissolved by then, but the public expectations will still need to be managed. This entry was posted in Law, Politics and tagged Barcelona, Catalan National Assembly, Catalonia, consultation, independence. Bookmark the permalink.